The moon is waning once again, this time telling us that we are approaching the Jewish month of Elul, and this year, the American holiday of Labor Day. Here in Massachusetts, the heat and drought continue, making it hard to believe that summer will soon be over. But sunset arrives earlier, Shabbat evenings are longer and Shabbat days are shorter, the nights are sometimes cool, and we know in our minds, even if not our hearts, that summer cannot go on forever. We may wonder - or not - about the drought. Someone told me today that it is putting her on edge. What does it mean for us? What kind of message is it to us about our global future? Elul is a time for reflection, a time for teshuvah, return to G!d and to our best selves, in preparation for the Days of Awe, the holiest time in our calendar. What does teshuvah mean for us in this new era of climate disruption? How do we become the best we need to be for humanity and our planet, within the confines of our physical being and the social structures of our modern world? There are no easy answers to these questions, but the Earth Etudes for Elul, reflections on teshuvah and Earth by members and friends of Ma'yan Tikvah - rabbis, environmentalists, regular people, gardeners, poets - can provide food for thought during this sacred time of year, this time of the turning of the seasons and the turning of our calendars. 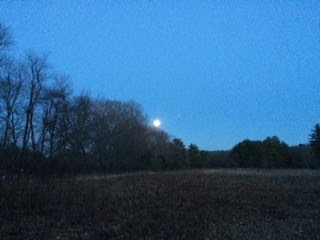 The Earth Etudes for Elul will be posted here each evening starting with Elul 1 this Saturday night, and you can use the form on the right to sign up to get them in your mailbox daily. May your journey through this season be rich, meaningful, and deep, and may you discover within yourself new and powerful resources for confronting the challenges of life. Rabbi Katy Z. is a board certified chaplain and serves as an Eco-Chaplain and the Facilitator of One Earth Collaborative, a program of Open Spirit. She is the founder and rabbi of Ma'yan Tikvah - A Wellspring of Hope, which holds services outdoors all year long, the co-founder and President pro-tem of the Boston-based Jewish Climate Action Network, and a hospice chaplain at CareGroup Parmenter Hospice. She received her ordination from the Academy for Jewish Religion in 2005. 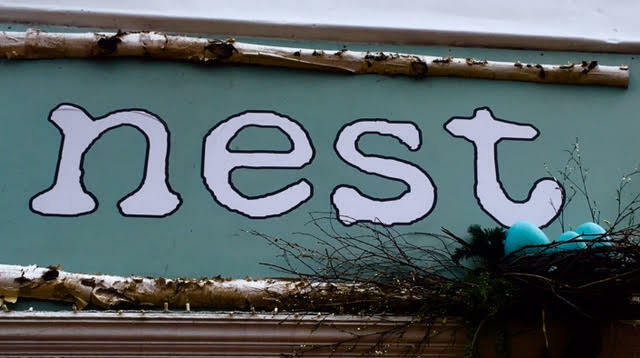 Can you see how carefully the nest is constructed and imagine the time and energy put into creating it? A twig, a stick, a straw piece of grass pulled from all over the land to build this home of love. Its beauty is in the construction and the delicate nature of holding the eggs. Its strength is evident and perfectly inspiring. Do you see the dirt covered gloves covered looking like they are holding the heart and spirit of someone they love? Positioned to help, to guide, to let go as needed or to embrace as needed? The dirt that has come from hard work connecting to the Earth and the sweat that goes with that creation? I think of all the little children going off to school for the first time, or the ones flying the nest and leaving home. I think of the ones learning to fly for the first time or the ones flying home for a visit. 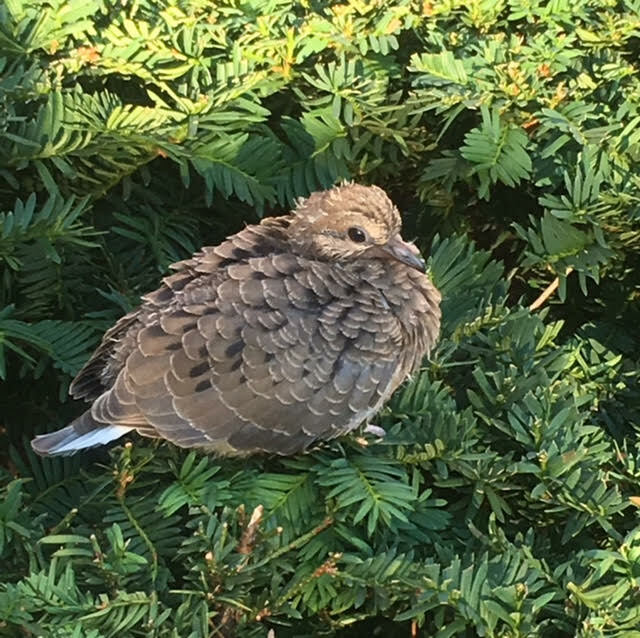 With a heavy heart, I think of the ones who left the nest under terms that all parents hope will not happen. I think of those who tried to build a nest and nature just did not work that way for them. 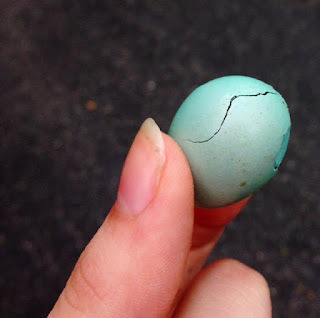 Those who lost the egg before it was born or the nest emptied before the right time. I think of those proud to see their child fly and those still hoping for lift off due to circumstances not expected. But…right now I think of my mother who still tends her garden at 87 years of age. She had to flee her nest in Germany and escape from Hitler at a time where she never got a childhood. 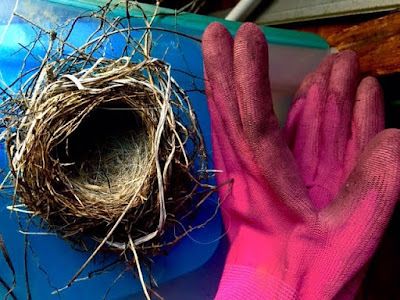 I am filled with abundance and gratitude that despite that experience she always found the strength to build new nests and find beauty and peace in nature. 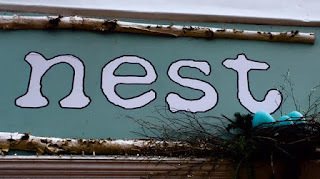 Lisa Baye Kaye wrote "The Nest" story for all the people who are feeling the "empty nest" as children start the new school year or life journeys. She also wanted to honor two young adults who recently passed away unexpectedly (Jaimie and Tony). Lisa Baye Kaye is an amateur photographer who finds beauty in nature by closely observing the simple surrounding of everyday life. This purposeful act of paying attention to the magic of her daily surroundings has inspired her photography, writing and poetry. Her teen daughter, Hannah Serena Kaye has acquired the family love of art , photography and nature that has been passed down by many generations. Hannah Serena Kaye’s art has been exhibited in libraries, hospitals and art shows since childhood.